AUTUMN IS FINALLY HERE! Look at that cute cat. Look at those glorious leaves! I’M IN LOVE. It’s time to break out all of the pumpkin spice candles and bake everything pumpkin. I know no chill when it comes to autumn. BE WARNED. And do you know what today is? TUESDAY! Which means Top Ten Tuesday time! YAY! REJOICE. I’ll be linking up with The Broke and the Bookish for this one! So here we go, my TBR for Autumn aka my TBR that I’ll cry over for a whole season because I can’t pull it together and the GRE is slowly going to kill me (but really, I’m pretty sure it is). We’re not going to talk about how I started this book almost a month ago. Nope, not a thing. Let’s just ignore that, yeah? 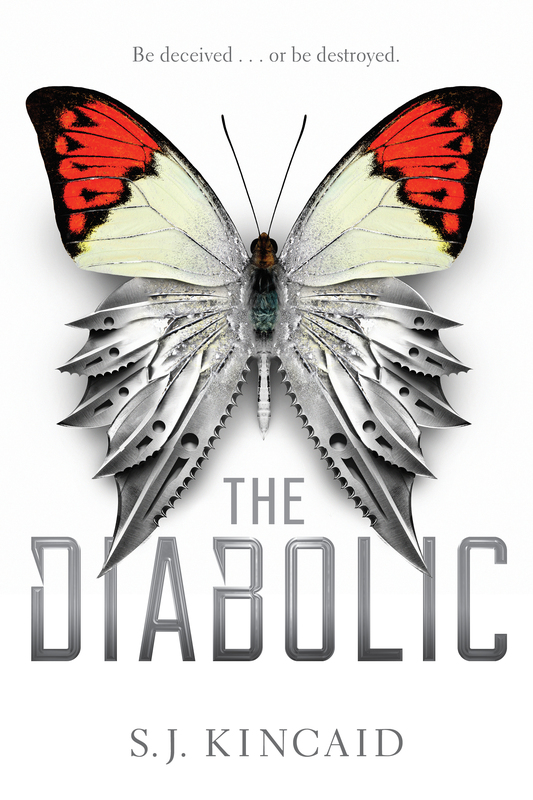 I’m currently buddy reading this one with Kalli @ K The Ravenous Reader. We’re making tons of progress, THANKS FOR ASKING. I just don’t want this book to destroy me, like I know it will. MY POOR HEART CAN’T HANDLE IT. This one includes Godsgrave. Esther @ Queen of Fantasy keeps yelling at me to read this book. I’m sure I’ll love it too! I mean, it has a stabbtastic character. WHAT’S NOT TO LOVE?!? It’s been on my list for a while. Maybe I’ll finally get to it. I AM GOING TO GET TO IT. Technically I’ve already started this one, BUT I’M COUNTING IT. When this first came out, I was intrigued so I picked it up. I didn’t understand the striking out of words. I mean, WHAT?!? I hadn’t seen it done before and I wanted to read about someone with a sort of Midas touch. But I couldn’t make it past the first 30 pages. The writing style was not my thing. Nope. Being trapped in that room gave me nightmares. So I gave up. Then a few friends on bookstagram told me I needed to give it another go (remember, bookstagram is slowly taking over my life). I am happy to report that I got through the roughness that was the beginning for me and it’s paying off. I am now hooked and I MUST KNOW WHAT HAPPENS. This is another one that I’ve heard a lot about on bookstagram. My edition is gorgeous and to die for. I’VE HEARD NOTHING BUT GOOD THINGS, SO WHY ON EARTH HAVEN’T I READ IT?!? I’ve got no answer for you. I don’t know why. Don’t hate me. Just know I am making plans to amend it. 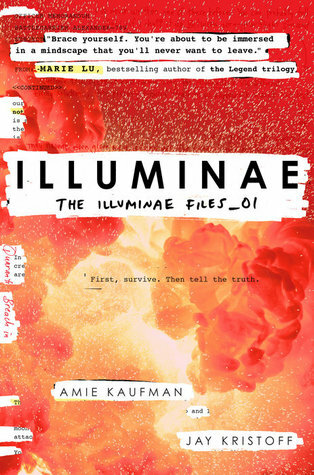 When I first joined bookstagram, Illuminae and Gemina were being talked about a lot. And have you seen those covers?!? SO COOL. I knew I needed to find out what this book was all about. So I finally found it on Book Outlet (which is a dangerous site if you like books at a really inexpensive price). Now it sits on my shelf, untouched. AND IT’S THE PERFECT COLOR FOR AUTUMN. I guess that means that I should read this book. Especially since the third one is coming out in March. TIME TO PREPARE. It’s still sitting on my shelf, staring at me. This was one of the first books I bought because of bookstagram. AND IT’S STILL SITTING THERE UNREAD. Because I’m a terrible person who can’t handle her TBR. It’s whatever, it’s fine. 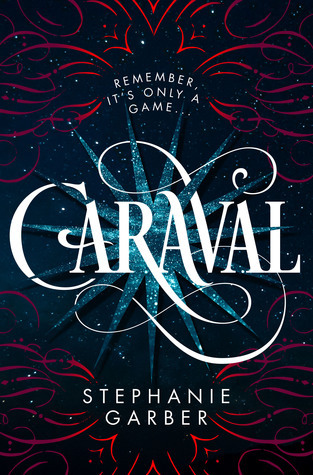 But I absolutely adored The Night Circus and I heard if I liked that book then I will definitely like this one. The only thing holding me back is myself. I was super pumped to get this in my July OwlCrate box (which was my first ever box from them). I had read the good reviews and really wanted to give this book a try. And now that it’s been out longer, there are even more great reviews! So I guess it’s time to read it and get cultured! 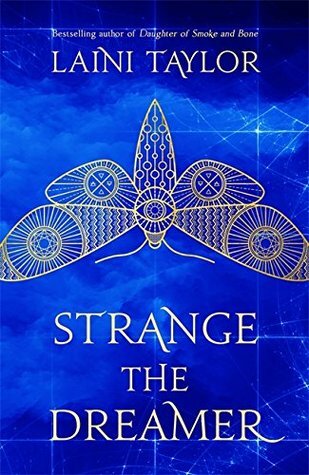 I mean, what’s not to love about a book where they travel the world! They had me at “pirate.” I mean, that’s all I really need to know about this book. Need I say more? I was seriously in LOVE with Fangirl. I remember reading it on the tube and never wanting to leave the train. I just wanted to keep reading. So when I got similar vibes from this book, I knew I needed to read it. I’m hoping it’s not trying to be Fangirl though. I’ve heard it doesn’t do that and that I’ll probably enjoy it. Who knows. It’s always a hit or miss with me and contemporary. Even though my copy of this is seriously damaged, I WILL READ IT. YES YES YES. TAKE THAT DAMAGED BOOK. Is it ambitious of me to want to read all of these books while going to school, working, and prepping for my grad school applications? Yes, yes it is. And if we’re being honest, I probably won’t get through the whole list. Whatever. It’s nice to dream. Also, this basically turned into the list of books that Lindsey owns but has not ever read for reasons that are unknown to herself and the world. Any of these books on your TBR? Are there books I need to add to this list? Is there a book on here that I should be embarrassed I haven’t read yet? You’ll need to take lots of reading breaks to help curb the GRE stress, you know. I think I’ve decided to throw out my Fall TBR List and just read yours. Nevernight, Illuminae, Caraval, Daughter of the Pirate King… I can’t resist! I hope you do find time for all of these. Thanks for sharing! I hope you enjoy all of these! 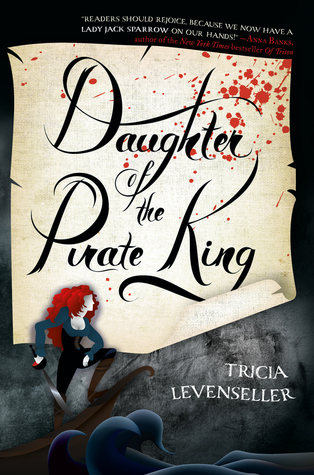 I’ve read Daughter of The Pirate King and that was a lot of fun, so I hope you enjoy it too. 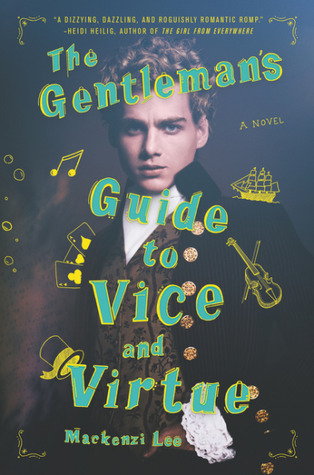 I’ve heard that A Gentleman’s Guide is very witty so I need to buy that one! 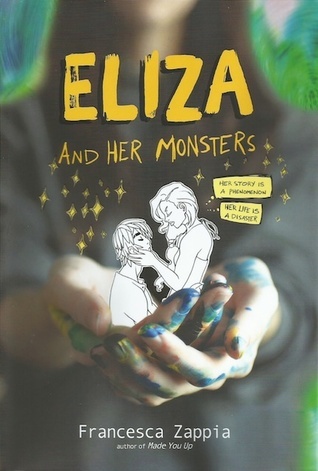 I also need to buy Eliza and her Monsters because I’m pretty sure I will relate 465456%!! 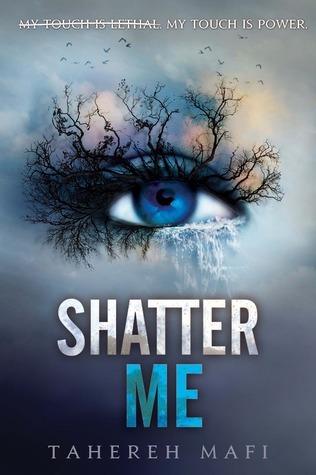 I just finished Shatter Me and the other books are on there way! As for the other two, they’ve been on my tbr FOREVER. I really need to just read them! 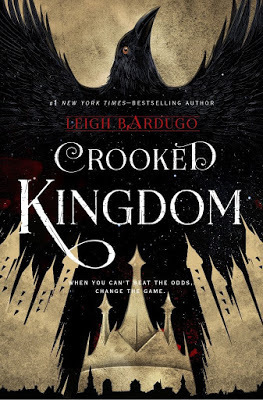 Crooked Kingdom is one of my favorite sequels. I also need to get to Daughter of the Pirate King. Hopefully by the end of the year. I’m scared CK is going to destroy me, take my heart, and leave it broken on the ground. I’m just excited to read a book about pirates! YAY PIRATES! How did I not know you are such a “bookie”? I love to read as well, especially now that the weather is getting chilly and my outside options are dwindling. I’m currently reading , A Gentleman in Moscow by Amor Towles, a historical fiction about Russia in the 1920’s. A little dense to get through so last night I threw in a lighter read, The Last Anniversary by Liane Moriarty. Marin and I went to Barnes and Noble last night for some new books and pumpkin spice hit chocolate. I think we’ve found our new winter hangout spot.